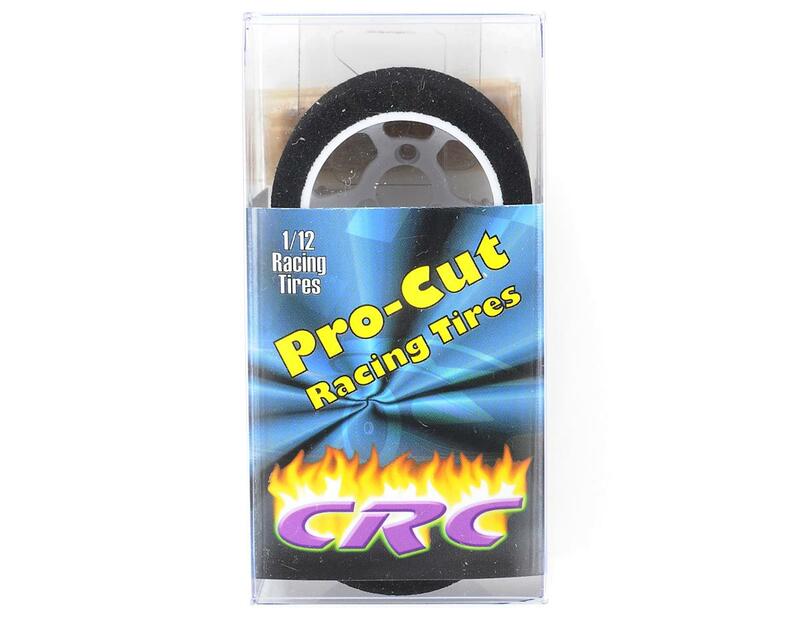 This is a pack of two CRC "Pro-Cut" 1/12 Scale Pan Car Rear Tires, mounted on "High Roller 38" 38mm 1/12th scale wheels. All Pro-Cut tires are exotic, long-wear, high-grip rubber mounted on the HR-38 rim. No cheap kit rubber here. Being mounted on the large diameter HR-38 rims, Pro-Cuts are low profile race tires. They are trued to 1.90" Rear. 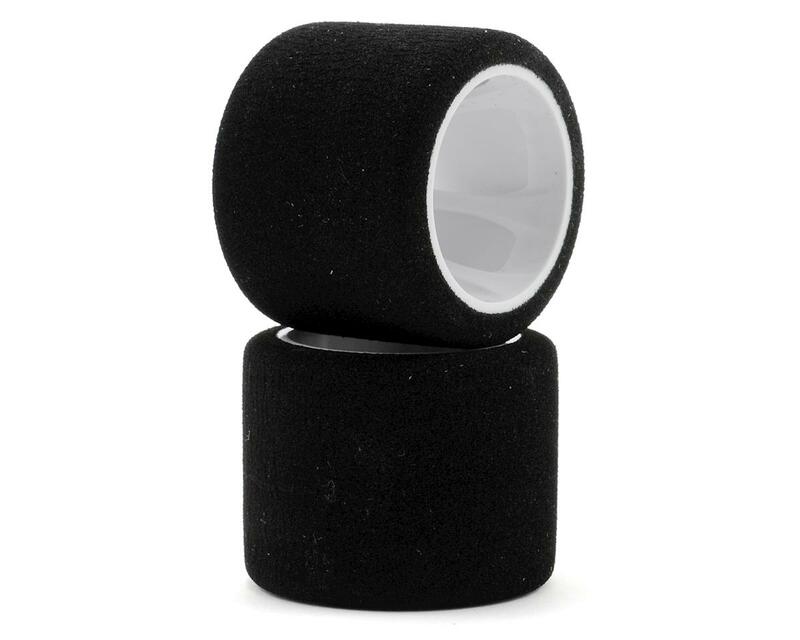 Instead of simply adding a rim filler, CRC has taken the large wheel trend one step farther by increasing the rim diameter to the ROAR and IFMAR legal limit of 38mm. CRC's HR-38 wheel is light weight, with a unique spoke pattern that results from the placement of the strengthening ribs. The internal ribs not only support the outer diameter, but they also add strength to the critical 3-hole mounting area, by providing a web of material on each side of the hole. Older standard wheel designs leave the 3-hole area un-braced, resulting in a weak area that could flex. The rear wheel has mounting offsets that are slightly narrower, allowing the user to custom shim the rear axle width and track. Race ready, right from the package, no tire grinding needed! High Roller 38 rim accepts standard 1/12th donuts. Pink: Soft shore, long-wear, high grip, high rubber content. Magenta: Medium shore, long-wear, high grip, high rubber content. White: Soft shore, long-wear, high grip, less rubber content, less tacky on high grip. Yellow: Med-soft shore, long-wear, high grip, softer than grey, harder than white. Great tire for 1/12th stock and modified! Gray/Yellow: 80% Yellow compound with a ring of Gray compound on the outside edge. Great tire for 1/12th stock and modified!